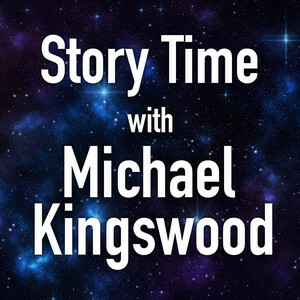 We found 10 episodes of Story Time With Michael Kingswood with the tag “publishing”. We're continuing on with Chapters 8 & 9 of The Pericles Conspiracy. Word of warning - there is some explicit content toward the end of Chapter 9. But, it's good explicit content and does matter for the plot. Continuing on with Chapter 7 of The Pericles Conspiracy. Continuing on with my reading of The Pericles Conspiracy. This week, Chapters 5 & 6. Even though as I recorded the ending of this, I somehow thought I'd done two chapters, this is in fact just one. Here is Chapter 4 of The Pericles Conspiracy, for your listening pleasure. The first short story I sold professionally is now out in the Fiction River: Spies! Anthology, released by WMG Publishing. Continuing on with Chapters 2 & 3 of The Pericles Conspiracy. Since we finished up Passing In The Night in the last episode, it naturally follows that we should move on to The Pericles Conspiracy, which continues the story that Passing began. So let's get to it. Chapter One, for your listening enjoyment. Finishing up my reading of Passing In The Night, the Prelude to The Pericles Conspiracy. Back to reading stories again. This week, we're continuing with Passing In The Night, the Prelude to The Pericles Conspiracy. In this episode I also explain why I no longer to business of any kind with Patreon, and introduce my replacement for them: a membership setup on my website, that I own and control. I'm moving, and it's annoying. No story this week (or last week, obviously); just me moaning and complaining about moving.